Outback Queensland is full of its own weird quirks. From out of the ordinary sporting races, acclaimed 5-star chain hotels 200km from the closest town, to bizarre natural phenomena like mirages and Min Min lights – it’s no surprise that Outback Queensland sports some unusual town names too. Here’s the stories behind the names and why they are worth the road trip. Sounds like: A town producing the yellow tropical fruit. Where is it: 170km south of Rockhampton – you’ll find it along the Leichhardt Way. How’d it get the name: The town name has no relation with the fruit whatsoever and was named after a dun-coloured bullock called Banana who was prized by the local stockmen in the day. Today a life-size statue of Banana stands in the town, a reminder of the region’s pioneering days. What’s there: While you won’t find and banana trees, the small farming town is a junction point between the Dawson and Leichhardt highways making it a gateway to a barra-fishing dreamland (psst – check out these fishing spots) and the Sandstone Wonders gorge-ous national parks including Isla Gorge National Park. Where is it: On the Matilda and Capricorn Ways, 580km west of Rockhampton. How’d it get the name: The town’s name originated from a sheep station called Barcaldine Downs, named after the original owner’s property in Scotland. What’s there: Barcaldine is home to the Tree of Knowledge, which came into its prime in 1891 when it played a role in the Great Shearers Strike, leading to the birth of the Australian Labor Party. In 2006 the tree was poisoned but now a traffic-stopping memorial stands in its place. Hot tip – make sure to catch a glimpse of the statue at night. The Barcaldine Tree of Knowledge Festival celebrates the town’s history each year. Here’s how to make the most of a long weekend at the festival. Where is it: 200km south of Longreach. How’d it get the name: Yaraka was named after the indigenous word for white spear grass – the town was provided its name when its rail line and station were established in 1917. What’s there: This small town has a population of 12 and can be found nestled between the Mesa Hills with a spectacular postcard picture background from the Yang Yang Ranges. 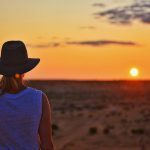 The 360 degree view from the top of Mt Slowcombe is one of the top places to catch an epic sunset from in Outback Queensland. Sounds like: Bill-oh-wheelah or as the locals call it Bilo (Pronounced: Bill-oh). Where is it: The hub of the Banana Shire sits 120km south west from Gladstone. 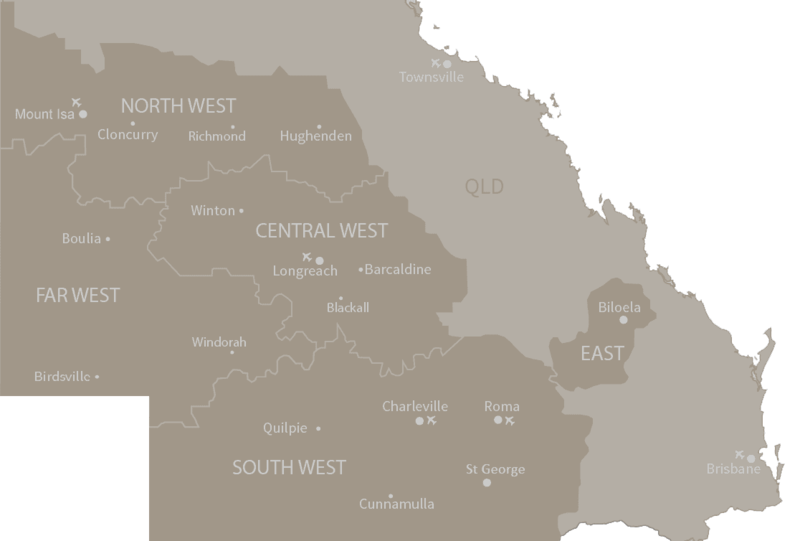 You’ll find it along Australia’s Country Way on your way to Rockhampton. How’d it get the name: The name Biloela is generally believed to be the Aboriginal word for white cockatoo. What’s there: This is a fisherman’s playground! Callide Dam is a fishing hot spot and water activity haven. 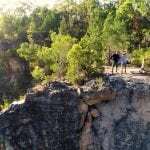 Biloela is in prime position for also exploring Kroombit Tops National Park and Mount Scoria. It’s Sandstone Wonders cred isn’t the only thing it boasts, you can check out its other perks here. Sounds like: The English prehistoric monument. Where is it: The Barcoo region, two hours south of Longreach. How’d it get the name: No, it’s not named after the UK’s Stonehenge – its name originates from a stone hut used by the bullock teams to overnight during the days of droving in Outback Queensland. What’s there: Stonehenge may be a long way from the ocean but it is home to the Defence Department’s Over the Horizon Radar system which guards the Australian coastline. While you’re there make sure to take in the vast red landscapes and write your name in stones in the address book started by a mailman on the side of the road. Sounds like: Bull-yah (There are also plenty of bulls out here too). 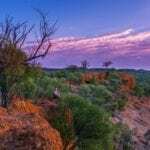 Where is it: Outback Queensland’s channel country, sitting 200km from the Northern Territory border along the Outback Way. How’d it get the name: Origins of the name are unclear however it is believed to have been interpreted from the name of a local indigenous waterhole. What’s there: Camels galore! Watch them race or try a camel burger at the legendary Boulia Camel Races. Don’t be spooked at night if you happen to come by glowing orange orbs, this is the land of the eerie Min Min Lights. Fact or fiction, we’ll let you decide. For now, this is as close as you’ll get to Mars – a crater on the planet was named Boulia, commemorating the towns red outback surroundings. 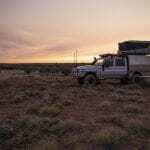 Where is it: It may be claimed to be Australia’s furthest town from the sea, but this was once a seaside town back when Australia’s prehistoric inland sea existed – and it has the dinosaur bones and fossils to prove it. You can visit Eromanga while road-tripping the Warrego Way. How’d it get the name: The name is thought to have come from an indigenous word meaning “hot gale plain” or “windy plain”. What’s there: The town is small in population but it’s prehistoric finds make up for it in size. Here you will come across megafauna and dinosaurs at the Eromanga Natural History Museum. You can even help make the next big discovery yourself at one of their excavation digs or join expert fossil technicians in the lab to prep the fossils. Do you know of any other towns in the outback with unusual names? Tell us in the comments below.